Are you ready to stand out on your biggest day? iCanMed provides best medicine interview preparation courses & medical interview training across Australia. ”My son got his first choice in the first UAC round – which was Western Sydney University – so he’s extremely happy – he also got offers from University of Tasmania, University of Queensland and some further interviews with Western Australia. What makes an interviewee stand out from the rest? Firstly, we need to understand why interviews exist. The purpose of the interview is to identify whether or not candidates possess the necessary attributes, attitudes, motivations, skills and values to become a successful medical student and a great doctor. Not only do candidates need to demonstrate these ideal traits through their response to the interviewers, but they also need to show that their set of traits are far more developed than those of other candidates. Rather than focusing on the candidates’ ability to recall facts (that’s what school/uni grades represent), the attention is all about whether or not you come across as an ideal and suitable candidate for a medical career. Every question asked in the interview is an opportunity to showcase different traits. So, what kind of preparation is needed for you to deliver a 10/10 response to any question asked in the interview? In iCanMed, we want you to become a more skilful interviewer. Since interview questions are generally never repeated by the same medical school, your preparation needs to help you come across as an outstanding candidate in all situations. The five step method above helps you achieve your ideal result, every time. Get taught by those who interview, not those who got interviewed. Become an outstanding candidate with the interview mark scheme as the centre of preparation. Whatever question asked, our program shows you how to be in control on the big day. Our program offers multiple opportunities for our head coach to provide recommendations to take strides in progress. Since we’ve done all the work, just follow our lead. And the best part? Our course is up to 95% cheaper than other premium courses. It’s your turn! Complete your journey with our course. ✔️Taught by Michael, iCanMed co-founder, who has seven years of professional interviewing experience, is an interviewer trainer and interview designer. The first lot of interviews start as early as the 20th of November (Auckland) and 25th of Nov (Australia). Check your city’s masterclass dates below. After attending iCanMed's free interview workshops in Perth I came to an even greater realisation as to how important the interviews are in determining your entry into medicine. Even with a good ATAR I knew that if I wanted to be accepted into my first preference university I needed to do very well in the interviews, especially with a UMAT score that wasn't very competitive. The MMI interviews seemed very daunting at first as I was lost as to how I would be able to process long and seemingly complicated questions, how I would be able to come up with substantial answers on the spot and whether I would be able to structure my answers coherently. These skills may seem like abilities that people naturally possess but the free workshops that iCanMed held in my state clearly introduced the skills required as needing to be developed and practised. These initial workshops gave me a clear picture of what the Interview Pro Course would offer and I soon decided to register for it. This is a decision that I definitely do not regret as it approached the interviews in a logical, straightforward and thorough way. The online course was very well-structured - the modules flowed well into each other and skills were built one upon another in such a way that I was able to comfortably integrate them into my thinking and answering process. The one day workshop which is part of the Interview Pro Course really set me up to developing the interview skills on my own as Michael gave a clear overview of the course, clarified how the different skills are applied and clearly conveyed the depth and breadth that a good interview answer encompasses through sharing how he would approach different question types. I think the most valuable part of the course was being able to seek reliable advice from someone like Michael, who is experienced and knows what interviewers are looking for. Another invaluable part of the course was being able to send recordings to Michael and receiving constructive feedback in regards to the areas I needed to work on and ways I could enhance my answer. 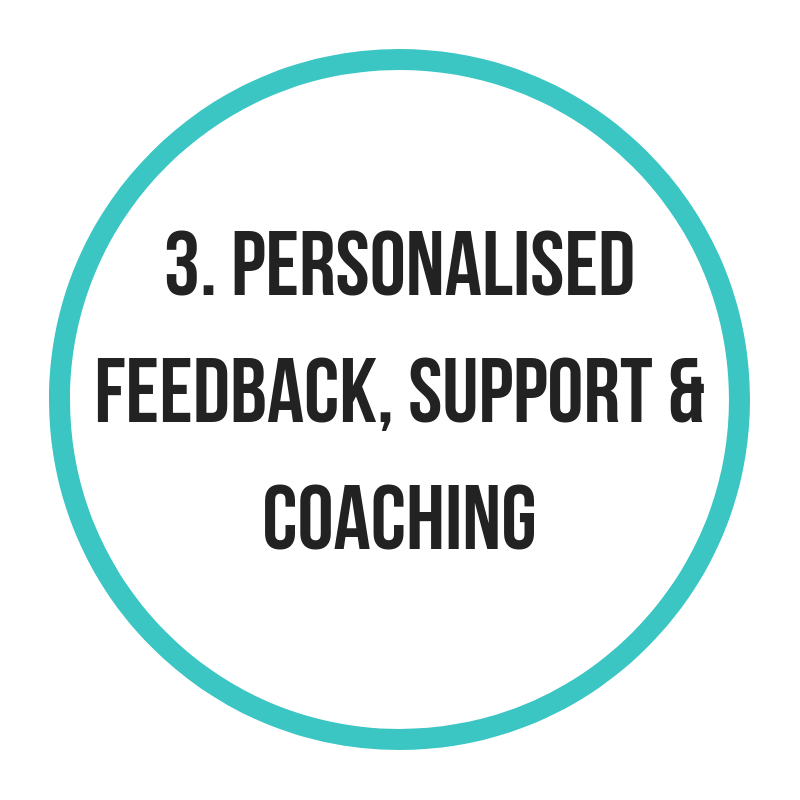 This feedback allowed me to be effective and focused in refining the skills taught in the course and also helped in my delivery in terms of being more natural, flexible and spontaneous. Going through the course with Michael's guidance provided me with the confidence to face any questions that would come up in the interview. This is because I had gained the skills required to break down any question and demonstrate the qualities the question is examining through explaining my reasoning. On the day of the interviews itself I was able to stay calm during the interview and be adaptive in how I applied the skills I had gained so that I was able to express myself in the most effective and reflective way as possible. The first thing I gained from joining this course was really getting an in-depth idea of what to expect in different types of interviews, such as the types of questions asked, or the format of the interview etc. Before joining the course I had no interview experience whatsoever, so I had no clue what to say to show the interviewers I was a suitable med student. However, Michael explained really thoroughly what would happen, so I could walk into every single interview feeling prepared and confident despite the huge differences between medical schools. It’s no secret that in an interview, you should just be yourself, so the interviewers can get a genuine idea of who you are as a person. However, Michael helped me understand that there are ways to take my responses to the next level while also staying down to earth and genuine. For example, I might be talking about playing cello as one of my hobbies. Rather than just stating that I play cello because I enjoy music, this is a good opportunity to expand on the importance of self-discipline in practice, how teamwork is crucial in orchestra playing, or the responsibilities than come with being an ensemble leader in music. As you can see, a simple question about hobbies can quickly show the interviewer that you possess the qualities of a good doctor, and really help you stand out. Something I really appreciate about this course is that although we receive really detailed explanations and tips on how to become a star interviewee, nothing is “spoon-fed” to you in terms of what exactly you should say. Instead, we get a content creation worksheet which we fill in accordingly, which depends on each person’s different experiences and perspectives. The worksheet has a bunch of traits that are important for studying medicine, and really prompts us to think about past experiences and characteristics that relate to traits such as leadership, empathy and cultural awareness. 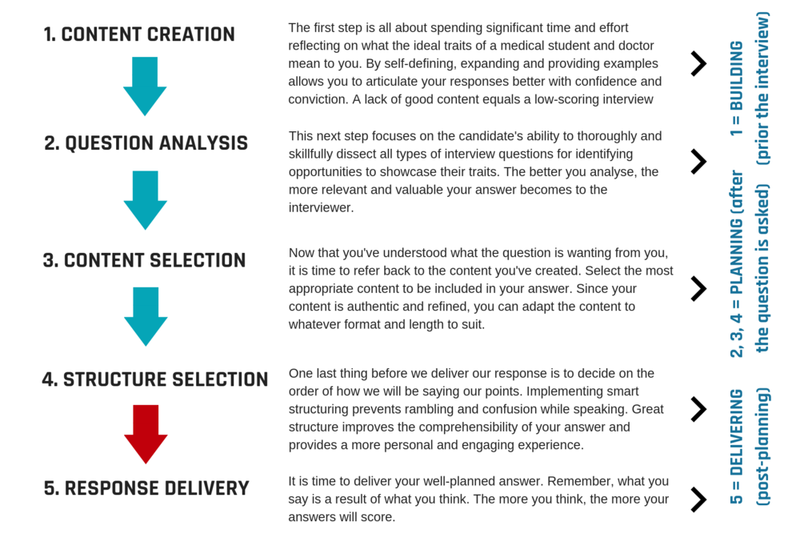 This is extremely helpful during an interview, where you can pick and choose suitable examples to slot into your response, so that the interviewer can relate better to you as an individual. Last but not least, this course helped me a lot with structuring my responses in a way that is easy to understand and has a logical flow. This helps keep the interviewer engaged and alert, so they are more likely to get the full understanding of what you’re trying to communicate to them. All in all, I think iCanMed really solidified my interview skills, and I would highly recommend it to anyone who will be doing a medicine/dentistry interview in the future.